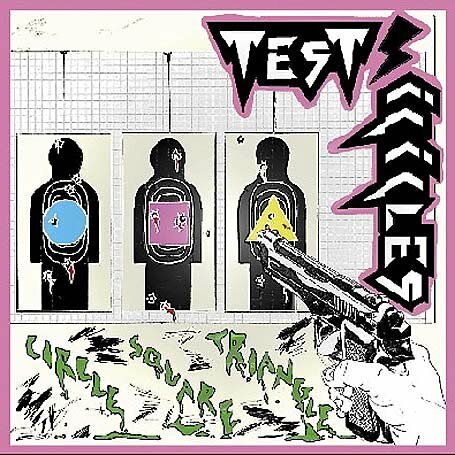 mp3 : Test Icicles – Circle. Square. Triangle. Sounding like a bootleg Def Jam t -shirt at the end of a sweaty party the Test Icicles trio made a sound already casting a long shadow of influence among their peers and a new generation of messy hyper-hormoned kids. The trio of 25-year-old Rory Atwell and 19-year-olds Sam Mehran and Devonté Hynes burst out of underground file sharing sights and into messy one-off gigs in friend’s houses in a riot of shredder guitar solos, beatbox rhythms, fringes and drainpipes. Whilst many bands claim to be “into a bit of everything” Test Icicles sounded like everything they’d ever heard, spewed out and re-wired for a different type of moshpit etiquette, a brand new teenage riot. The tracks on their debut album For Screening Purposes Only sounded like mash-ups of themselves and the single Circle, Square, Triangle became a modern nightclub staple. Their live shows were an eruption of metal poses, injury, boy and girl crowd surfacing and air punching – a spectacle that any award-winning stylist would have trouble improving. Just as the mainstream media were beginning to get their heads around peer-to-peer networking and the power of MySpace the band that had truly evolved out of below the radar networking did the unthinkable and split – and left a perfect mess of themselves on record. So there you are…a song by a band aimed solely at the kids and how they consumed music and yet here I was at 42 years of age falling for its charms. I was drawn to it by its energy, its rawness and the fact it had so many different post-punk and new wave influences. The kids probably had heard very little like it, but I had a cupboard full of vinyl that said otherwise. I have never had any desire though to even search out any other song by Test Icicles. Having this 7″ was good enough for me. IS IT ANY WONDER WE CAN’T STOP FIGHTING WITH EACH OTHER? A cracking novel I read a while back made a claim about there being a ridiculously high number of christian denominations in the world. As the novel was a parody, I assumed the figure being quoted was for comic effect. It was when I was rummaging through the cupboard recently searching through Tindersticks for the copy of Kathleen that featured at the beginning of the week that I came across all of my 7″ singles by The The (of course my vinyl is filed alphabetically). 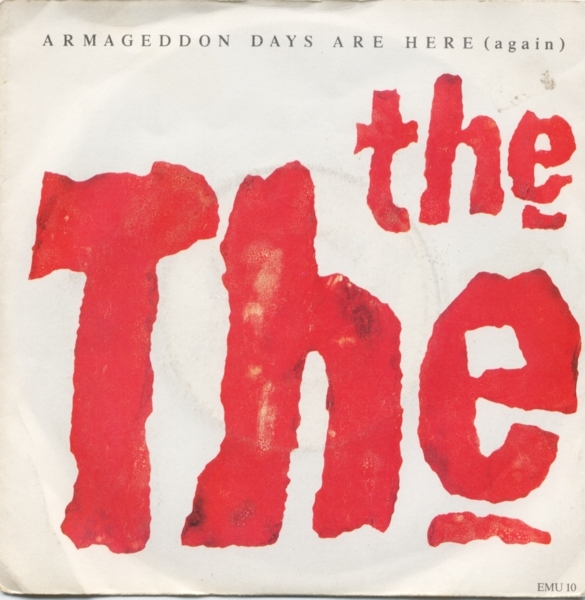 The fact that one of the 7″ singles has an excellent and fairly rare remix on its b-side is the sole reason for featuring it today. But it also acted as a reminder to check out the number of christain denominations. So I fired up wiki. Admittedly, many of the 41,000 have just a handful of followers but it is still a mind-boggling number and this link will give you an idea of just how many christian religions there are out there….all, more or less, proclaiming theirs is the one true way. Even those who preach the word of god admit that the denominationalism is usually the outcome of conflict and confrontation. And that’s scary enough without considering the fights that break out as a result of disagreements over different religions. From 1989. It reached #70 in the UK singles chart. You won’t be surprised to hear it didn’t get much in the way of airtime. The single version features the god-like genius of Johnny Marr. Is it fair to say that he would feature in any list of the top 41,000 guitarists in the world? I bet there’s some of you reading this thinking that I’m not being serious. But as my dear friend Jacques the Kipper will testify, I have long been an advocate of the talent of probably the most famous Australian on the planet. So much so, that back in the early 1990s when a music magazine (I think it may well have been the long-defunct Select) printed a photo of Kylie cavorting on a bed with Bobby Gillespie, JtK got a t-shirt made with my head superimposed on the body on Mr G, with the words ‘I Should Be So Lucky’ printed underneath…..
And among all the great acts that I’ve seen live over the years, I’ve rarely been so well entertained as when Mrs V took me along as a surprise to catch Kylie perform in March 2005 at the SECC in Glasgow. Ok I’m going to be blunt here. Mint Car features on The Cure album Wild Mood Swings. It is the best song on that album. I think its fair to say that Wild Mood Swings was the not The Cure’s finest moment. In fact I’d go as far as to say it’s their worst album by some way (Disintegration being their best and I’d take anyone outside who wants to argue). I’m also not going to sit here and tell you about The Cure, where they formed, and all that – you know that, surely. They have some great records, no scratch that, they have some wonderful records, again most of which you will own, know, or played the hell out of. There are a great singles band and just for the hell of it and just in case there is someone out there who has never heard The Cure, the best three Cure singles to start your collection with are Just Like Heaven, Pictures of You and Lovesong (the first and third songs being two of the greatest love songs ever written). Mint Car is about twenty sixth on that list. Just above A Forest. So I’m going to talk about crying instead (in a very round about kind of way – and yes I know this is a music blog), and the reason why is this. My one year old has been poorly this week she has been a small fiery mixture of tears, snot, gunge and regurgitated carrot. She’s fine now though, thanks for asking. A few days ago I drove her to the beach where she likes to run around a bit, well I say run, more stagger, totter and then fall over, but you get my drift. Anyway, we were driving home and I had Guess The Year on Radio Devon on the stereo, (yes Radio Devon, I happen to like Guess the Year with Shep, shut up) and it was 1979 (I got it quite early on, the DJ caters to the low common denominator…”this was the year Margaret Thatcher came to power”, was one of the clues). Then, all of a sudden, the DJ played a blinder, as I sat in traffic waiting to head homewards, he played Bright Eyes by Art Garfunkel and by the end of it I was a fiery mixture of tears, snot and gunge (no regurgitated carrot). I have no shame in admitting this, it’s a sad song, about rabbits. I like rabbits.But it did make me think. It joins a short list of now four records that have made me cry (to be honest it does it most times and if you don’t find it sad, you have a waxy pea sized heart), I won’t bore you with the other three A Natural by Whipping Boy, Shine a Light by Spiritualized and Hurt by Johnny Cash ) but would be intrigued to know which songs make you blub, I don’t care about the reasons, unless you want to share (Group Hug, anyone? ), just interested. Sniff. (Oh and I would like to apologise for all the brackets in this piece, sorry). My list extends to way beyind four, but then again lots of music can turn me into an emotional gibbering wreck – especially if I’m had too much to drink. The first time I heard Kathleen it was on a tape given to me by a friend. I assumed it was an original composition as it had all the hallmarks of a classic Tindersticks recording. I got round to talking about it with said friend and was very surprised to learn it was a cover version. The Tindersticks of this era (mid-late 90s) are impossible to characterise. They can’t be defined as rock, jazz or soul and yet they have a little bit of all of those in many of their songs. They employed all sorts of instruments on their records, including brass, strings and percussion – and in Stuart Staples, they had, and still have, a singer with a distinctive and unmistakable baritone voice. Some say they are just another doom-laden miserablist lot. Far from it. They were a band best consumed in the live setting. Until last year when I saw Frightened Rabbit in a packed compact venue in the middle of a Berlin heatwave, the Tindersticks gig at the Jaffa Cake in Edinburgh in 1997 is the hottest I’ve ever been at a gig…so hot that the band had to remove their jackets! And in 2002 I was lucky enough, in the company of Mrs Villain, to see them perform in the stunning surroundings of Somerset House in London, complete with 20 piece orchestra on a warm summer evening in which I was sure I had seen THE perfect concert in my lifetime. I even spotted Concorde in the sky above at one point…. For a long long time I only had a copy of Kathleen courtesy of it being on said cassette tape. One day I dropped an e-mail to the band looking for a bit of heads-up on plans to re-release the early LPs to find out if any bonus material in the offing would include making Kathleen available as I had been looking out for a copy for a number of years. I was told yes, but was also asked that If I wanted I could have a copy of the 7″ single as there was a spare one lying around in the office. You can guess my answer…. As I said at the outset, I was surprised to find out this was a cover. 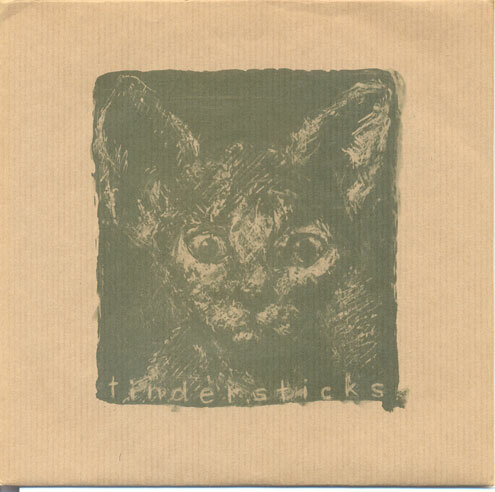 It made me determined to track down the original and was amazed to learn just how close in style and tone the Tindersticks version was and yet they had still made it sound as if it was one of their own. I thought only The Wedding Present were capable of such genius…. Until that point in time I knew nothing about Townes Van Zandt. His life is surely a Hollywood movie in waiting…. Not released on an indie label but very much an indie band. 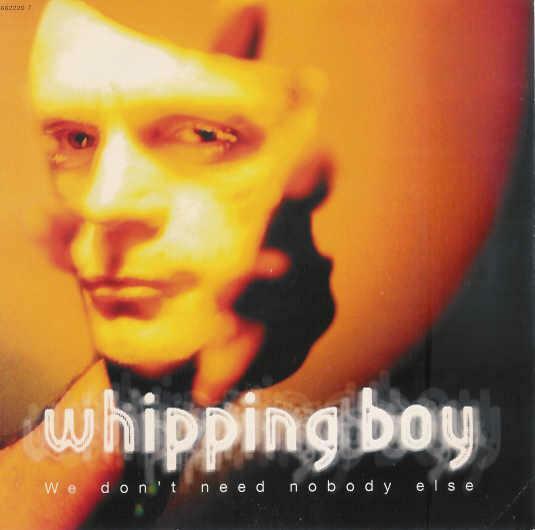 Whipping Boy formed in Dublin in 1988 and started out in life as Fall covers band. In 1992 they released their first album Submarine and then signed to the Columbia Label. In 1995 they came to the attention of a wider audience with the release of Heartworm their second album. Is it misogynist? No, well probably not. What it is, is a raw and emotional account of a love lost. Follow the song through, you’ll understand. Listen to A Natural, the very last (hidden) track on Heartworm and it all becomes very clear, well it did to me. To me, this identified how music can be a very powerful thing, in fact it can tear your heart out whilst you sing along. Lyrically this song is as beautiful as anything I have ever listened to and yet they are not the household names they should be. Is it a cult classic? Yes it’s the very definition of a cult classic, it scraped the Top Fifty. The album is better received now than it was 18 years ago. The band had very little success when perhaps they should have been megastars, Heartworm was recently voted one of the greatest Irish Albums of all time, I would lose the word ‘Irish’ there myself. The guitarist Steve Reid was a long time friend of Billy’s. “Orbidoig” had been a name used by Mr Reid and Christine Beveridge for their musical project formed some time after Christine had taken on vocal duties with Strange News in 1980. Billy had managed to help get Orbidoig a deal with Situation Two back in 1981, which had resulted in a single “Nocturnal Operations”/ “Up Periscopes”. Billy MacKenzie is credited with playing tubular bells on “Nocturnal Operations”. It was recorded around the time Christine Beveridge briefly joined Billy and Alan to form 39 Lyon Street and record one track “Kites”. The Orbidoig single sleeve photo is actually a publicity photo of 39 Lyon Street which has been severely cropped – leaving only Christine. 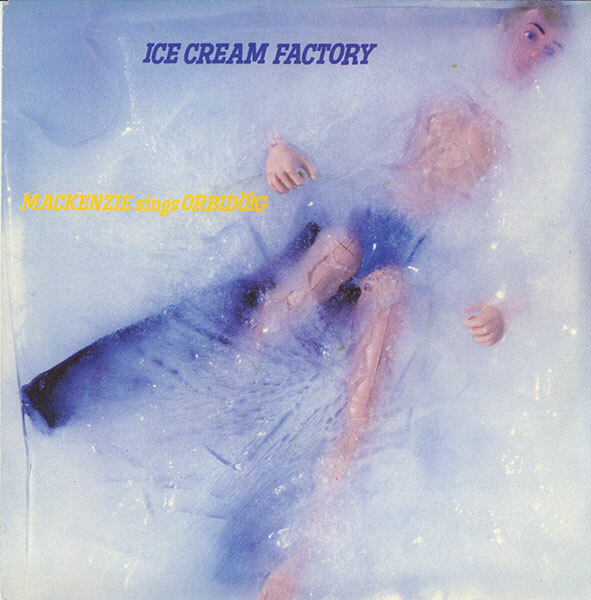 In the wake of the Rankine split, 1982 saw Billy team up with old pal and fellow Dundonian Mr Reid once more for a one-off single “Ice Cream Factory” released neither as a Billy MacKenzie solo single nor as an Orbidoig release… but as “MacKenzie Sings Orbidoig”! A rich musical creation spawned under the watchful eye of producer Mark Arthurworrey and written by Stevie Reid, the outcome made for a spot of uneasy, easy-listening. 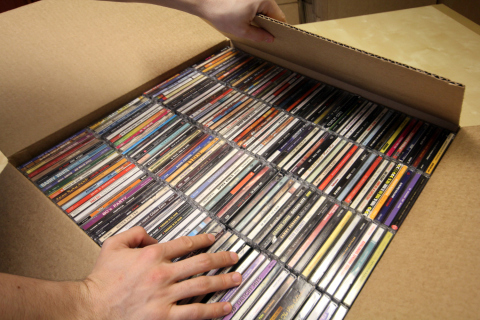 Released in 12″ and 7″ versions, the single received scant airplay and bombed. The B-sides were a dub version of the A side called “Cream Of Ice Cream Factory” and another track “Excursion Ecosse En Route Koblenz Via Hawkhill” a melodic but rather twisted, gnashing bit of guitar wrangling from Mr Reid. Hawkhill, for those who have no experience of Dundee is a pleasant cosmopolitan road which stretches from the big roundabout at The Marketgait, past the end of Blackness Road and down onto the Perth Road. A reader kindly pointed out the the b-side ‘skipped’ a bit early on in the recording.